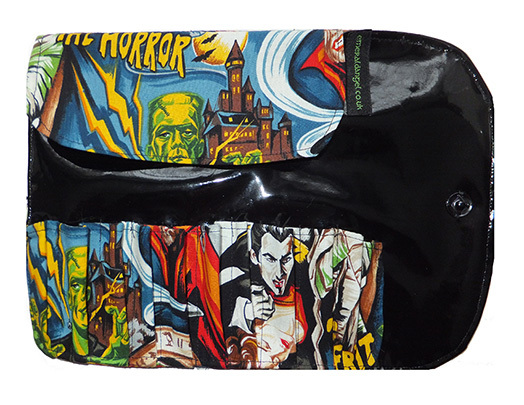 Gothic, Horror Make up Brush Holder, Roll. 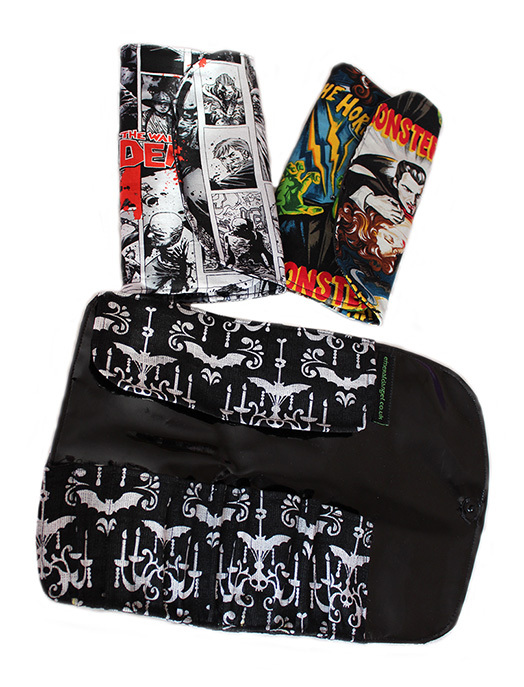 Gothic, Horror, Zombie Print Make up brush holders, pouches. Pvc inside so easy to wipe clean. 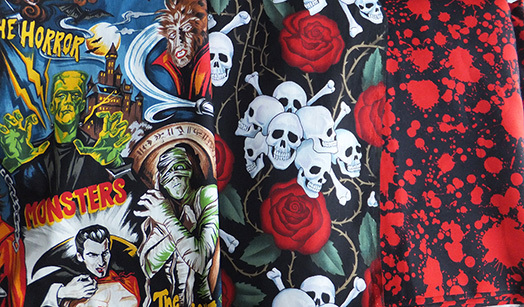 This listing is for 1 holder - make your selection which print you'd like. Size: (when fully open) 19cm height (brush height) and 28cm wide. It has 10 slots for brushes. I can make this holder in a custom size to fit longer brushes or to hold more brushes (may incur an extra charge).